For the discerning home user who want a power tool for lopping, pruning, small-medium diameter cutting and general tasks like chopping up firewood. 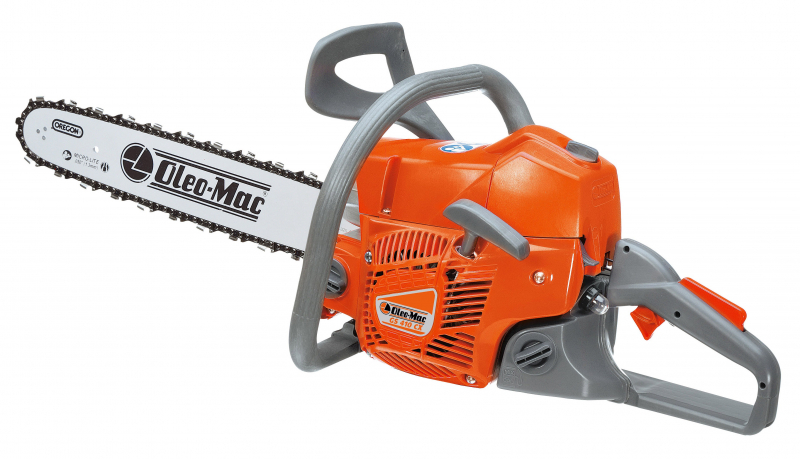 Designed incorporating the technology of chainsaws with higher specifications, it guarantees performance at the very top of its class cutting effortlessly and quickly and with maximum efficiency. Automatic oil pump of aluminium construction: ensures zero flow at idling speed and outstanding long term durability. Electronically controlled digital coil, reduces starting effort and favours lower fuel consumption. Nickel cylinder, forged steel connecting rod and crankshaft: efficiency guaranteed constant over time. Equipped with numerous devices that will simplify maintenance operations, like the inspectable muffler or no-tools filter cover. Burn right version available which complies with euro 2 emission standards.